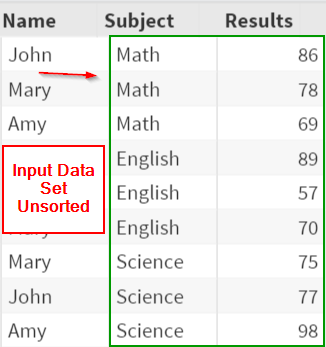 The Output option creates an output data set for the sorted observations. Copy and run the SCHOOL data set from the yellow box below. Similar to the MEANS procedure, you can add the Output option to the SORT procedure. ​The OUT option is added to the SORT procedure. 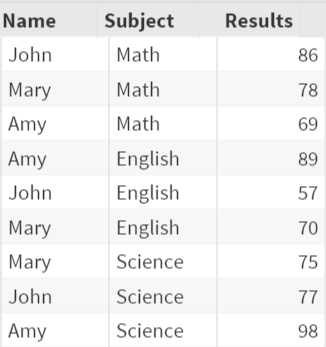 This creates an output data set called SortedRes that contains the sorted observations. When adding the OUT option to the SORT procedure, the input data set (i.e. SCHOOL) remains unchanged. With the present of the OUT option, the input data set remains unchanged. 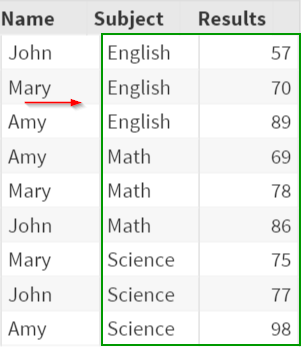 Sort the SCHOOL data set by Results in descending order and save the sorted observations in a new data set called DesResult.